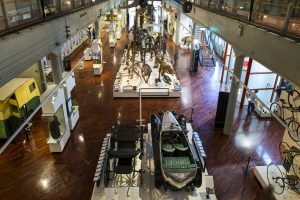 The north of Tasmania is well known for its sweeping valleys, vast farmland and historic cities, and the city of Launceston is certainly no exception. 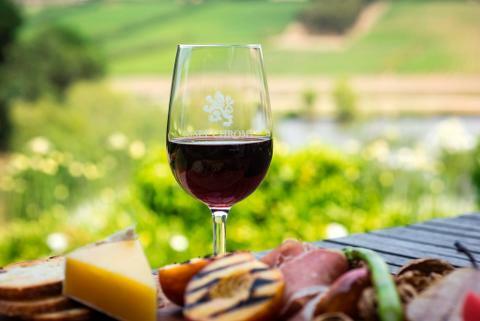 It has a lively yet laid-back, traditional while contemporary feel, and finds itself temptingly close to the Tamar Valley Wine Trail and all the delicious Chardonnays, Sauvignon Blancs and Pinot Noirs that come with it. 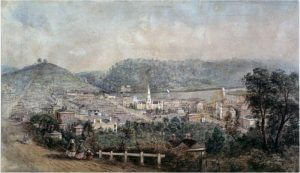 The city itself is based around the Tamar River, 200 km from the capital city of Hobart. Travelling between the two can take 2.5 hours, though buses offer a slightly more languid option at around 3 hours. If you’re heading to Devonport, Launceston is just over 100 km away, and the journey is drive able in 1 hour 10 minutes. The surrounding Tamar Valley is full of charming little villages, as well as plenty of open countryside waiting to be explored. The Tamar Valley Wine Trail is as inviting as it sounds: here you’ll discover lush vineyards, decadent wines, and friendly locals full of knowledge on the best Tasmanian vino money can buy. 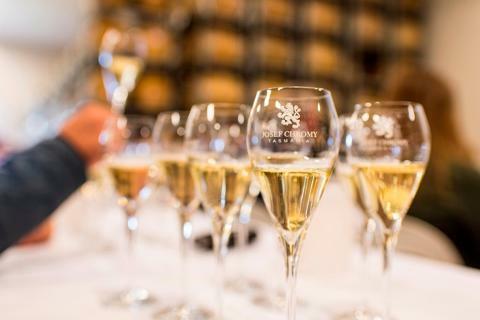 Image thanks to: Winery in Tamar Valley, Tasmania. Here are a few iconic sites you must visit! It’s rare to hear about Launceston without mention of the First Basin, the city’s main attraction – and for good reason. 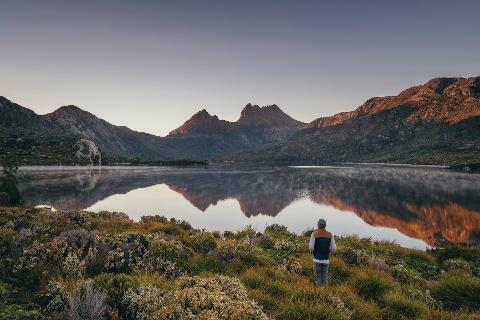 If you’re into hiking, swimming, eating, breathing in lovely fresh air and experiencing majestic views, this is the place for you (and if you’re not, what are you even doing in Tasmania?). Hop on the Gorge Scenic Chairlift for uninterrupted views of the area - probably the best around. Sit back and relax as you dangle languidly above the basin, and perhaps taking a moment to snap a few very Instagram-worthy photos. 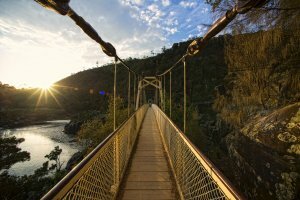 Conveniently, Cataract Gorge is close to Launceston – taking no more than a few minutes to reach from the city centre (and around 20 to 30 minutes’ walk if you’re feeling energetic), meaning you can grab some breakfast in the city in the morning and have experienced the magical sights of the Gorge before lunch. Even better, why not take a picnic to this natural wonder or grab some food from the café on the southern side of the reserve? 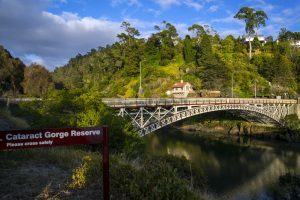 Beyond its majestic scenery, the best part about Cataract Gorge is actually the price: there isn’t one. 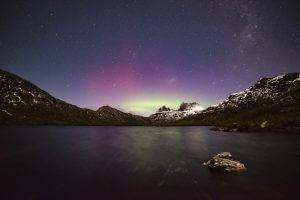 Image thanks to: Tourism Tasmania and Rob Burnett. A 15-minute drive from the centre of Launceston brings us to the delightful Grindelwald Swiss Village - as charming as its name implies. To arrive in this enchanting community is to find yourself in an alpine wonderland reminiscent of the country from which it takes its name. Founded in the 1980s, each and every residence in this Swiss Village has been built and decorated in traditional Swiss style, offering the best of pleasant European countryside: adorable houses complete with window shutters and flower boxes, surrounding lakes that twinkle in the sunlight and no end to the lush greenery. Grindelwald’s Tamar Valley Resort comes complete with day spa, mini-golf course, shopping arcade and giant bouncing pillows for kids. 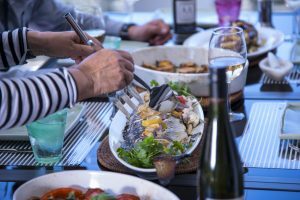 Foodies should not pass go and head directly to the Seaport Marina, where they can enjoy stunning views of the North Esk River, a tributary of the Tamar River. 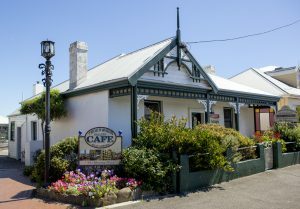 Here, a wide range of cafes and eateries await tingling tastebuds, with many options available from quick snacks to 3-course meals and perhaps a bit of fish and chips. After all, what’s a trip to a marina without some chunky chips and a nice piece of cod? Despite its proximity to Launceston’s Central Business District, the area somehow pulls off a quiet and tranquil vibe. Those looking to eat more like a local can head to the Harvest Market held every Saturday morning. This ‘Community Farmers Market’ takes place at the Cimitiere St. car park near City Park and features a whole range of fresh produce, whether you’re craving baked goods or the juiciest fruits. You can even find that perfect cider to take home. 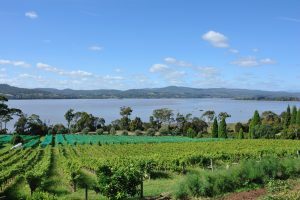 Winos ought to head on a tour around the beautiful Tamar Valley for a real taste of Tasmania. 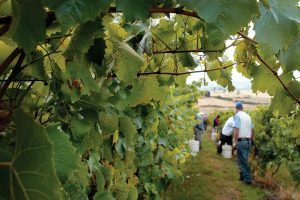 Wine lovers from all corners of the world flock to this region to stroll amongst the vines, sip the multitude of grape varietals, and inevitably purchase far more than they can cart home. It’s all part of the Tamar Valley experience. 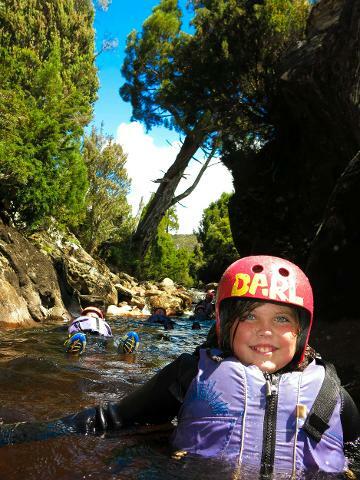 Image thanks to: Tourism Tasmania and Rob Burnett. Satisfy your inner shopaholic at the Brisbane Street Mall, a cool and colourful area featuring large department stores, smaller boutique shops, stores selling local arts and crafts, and a whole host of restaurants where it’s possible to eat and drink the day (or night) away. Options abound for evening entertainment. Music lovers may wish to opt for an open-mic night or some live music, while more spirited types may fancy getting groovy on the dance floor at one of Launceston’s many clubs. For another true taste of local culture, track down a pub specialising in cider—Tasmania is famous for its apples (its second name, “the Apple Isle”, still rings true), and as such, cider sipping is a favoured pastime. For something different altogether, the age-old Princess Theatre (founded in 1911) offers visitors the chance to take in a ballet, play or musical. Image thanks to: Alastair Bett. Launceston is easily accessible by plane, with Launceston Airport being a major entry point for travellers wanting to visit the Apple Isle. The city is equipped with convenient transport links to Sydney, Brisbane and Melbourne and it takes just 15 minutes by car to get from Launceston Airport to the city centre. 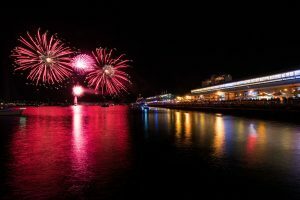 It’s possible to drive to Launceston from Mainland Australia with the car ferry, though this option takes around 10 hours on the Spirit of Tasmania ferry, which runs from Melbourne to Devonport, followed by around an hour of driving to Launceston. In terms of getting around the city itself, the options are numerous. As Launceston is proud to be an ‘active city,’ visitors are encouraged to see its wonderful sights by the many available walking trails and bike paths winding their way through its streets. It is quick and easy to drive to Launceston’s many scenic wonders (both in and out of the city) and rideshares and carpools are encouraged. Bicycles are available for hire at daily or multi-day rates, and many companies offer to bring them directly to your desired hotel--bonus. Backpacking equipment including tents, sleeping bags and actual backpacks, is also available for rent, for nature lovers looking to ditch the city for a few days and embrace Mother Nature. When exploring Launceston, it’s easy to get lost in the vibrant views of the surrounding landscape, but don’t forget to look up at the buildings as well; the city is well known for its rich architecture. Just take a look at St. John Street in the city center and bask for a moment in the many impressive buildings around you, such as the 1880s Custom House with its classic portico and elegant Corinthian columns. 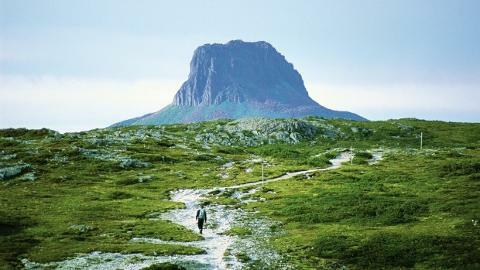 Image thanks to: Tourism Tasmania & Rob Burnett.